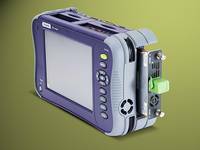 Whether for use in the laboratory, production, or field applications, VIAVI Solutions offers fiber optic and network measurement technology for all areas: This includes optical sources, level measurements, attenuations and spectra, signal processing and the switching, attenuation, and filtering of signals, test systems for Ethernet, and all areas of data transmission. 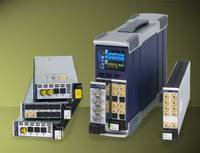 The modular MTS measurement platforms, which are largely manufactured in Europe and offer a wide range of OTDR, dispersion, and Ethernet test modules, are particularly striking. A wide range of assorted products is offered for cleaning and inspecting fiber optic connectors. In the laboratory and development sector, the MAP platform is a leading modular measurement platform.